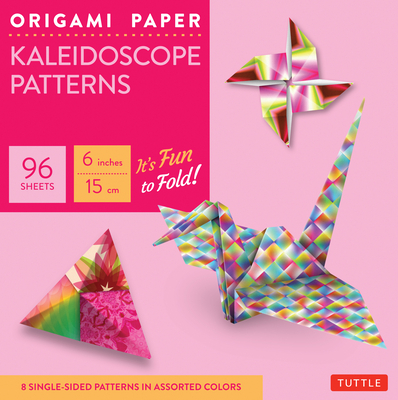 This pack contains 96 high-quality origami sheets printed with 8 colorfully wild kaleidoscope patterns. These striking patterns were chosen to enhance the creative work of origami artists and paper crafters. There's enough paper here to assemble amazing modular origami sculptures, distribute to students for a class project, or put to a multitude of other creative uses.